We usually associate piracy with the high seas, oceans like the Atlantic and Pacific. 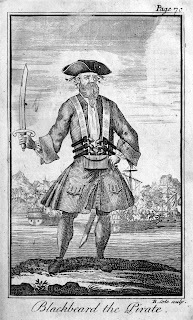 However, this week, I learned that Lake Champlain has its own history of men in leather boots and pantaloons carrying illegal goods across its waters. While building a geocaching activity (a recreational activity that involves using GPS devices to find hidden stashes) for our new Overnights and Summer Science Camps, I wondered if I could add an air of excitement by integrating a pirate theme. 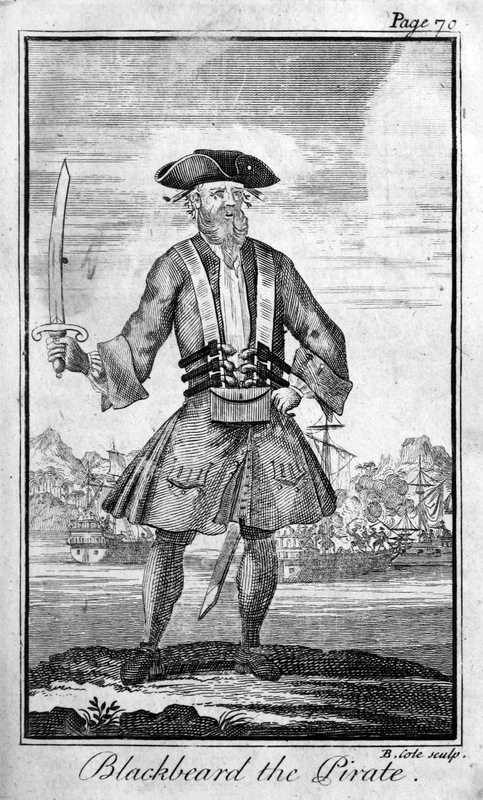 Following this whim, I approached Emily at the Lake Champlain Basin Program's (LCBP) Resource Room (located only a short jaunt across ECHO's top floor) with the question, "Is there any history of piracy on Lake Champlain?" With the help of Jim & Cynthia from LCBP and Richard from the Lake Champlain Maritime Museum, this is what we learned: During the Napoleonic Wars between Britain and France, in an attempt to prevent America citizens and goods from being seized by British and French forces, President Jefferson enacted a ban on foreign trade. Vermont, because of its shared border with Canada, was heavily reliant on foreign trade and risked economic devastation due to this ban. Vermont's local governments and newspapers were outspoken in their outrage. However, the ban stood, and as a consequence, several Vermont merchants chose to defy the ban and began smuggling their goods into Canada. Many smugglers chose to move their products (mostly potash, butter, cheese, leather, and meats) via ship across Lake Champlain. It was easier to move large amounts of cargo via ship and easier to evade the authorities. There are even documented cases of more imaginative merchants hiring boats to act as pirate ships. These faux pirate ships would pretend to steal the merchant's goods, sell them in Canada, and then return the profits to the supposed victim. 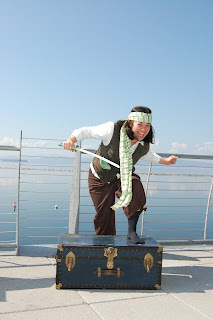 So there were pirates on Lake Champlain but not true pirates. In one famous clash between smugglers and custom officials, called the Black Snake Affair, custom officials aboard the oar boat Fly intercepted a smuggling vessel called the Black Snake. Two government officers were killed during the skirmish and the Black Snake crew captured and imprisoned. Four members of the Snake's crew were convicted and one sentenced to death. A reported 10,000 people gathered in Burlington to watch the condemned man hang. Cynthia emailed me this incredible song that recounts the story of the Black Snake Affair (http://freedomandunity.org/new_frontier/black_snake.html). I can't wait to sing it at camp this summer while jigging in my new pantaloons! 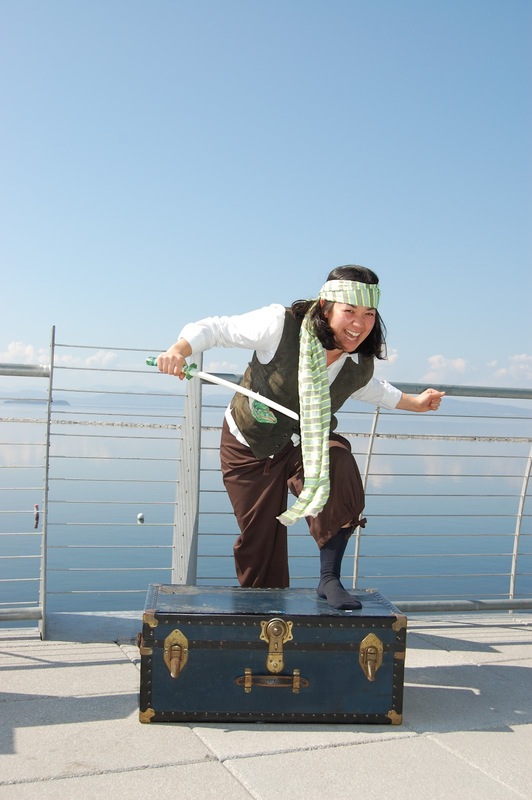 Very nice and interesting psot on Pirates Take Over ECHO Summer Camps. I really like summer camp programs. Summer camps are really good options for teens for their enjoyment and make them to take part in various extracurricular activities.